To help differentiate a brand of organic cereal, Seattle-based egg created a campaign that brought consumers in step with the sustainable values of a family-owned company. Organic and natural foods have exploded into our supermarkets at an astonishing rate: There has been an estimated 20% growth in volume each year for the last six years. That’s a good problem to have if you’re a consumer who wants to have a range of healthy options to feed your family, but for a marketer who has to help educate consumers about those options and make their brand stand out, it can be a natural disaster. Marty McDonald, creative director of Seattle-based agency egg, was charged with helping the 20-year-old cereal brand Nature’s Path break through a crowded grocery aisle filled with similar-sounding products and reach an audience hungry for sustainable breakfast foods. 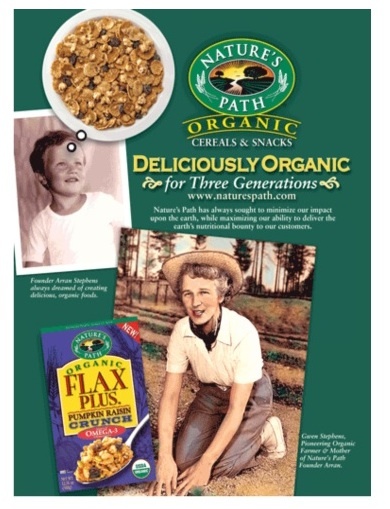 The Nature’s Path brand has been family-owned and operated for 20 years, building a small, farm-based operation into 140 cereal and breakfast products with $300 million in annual sales. 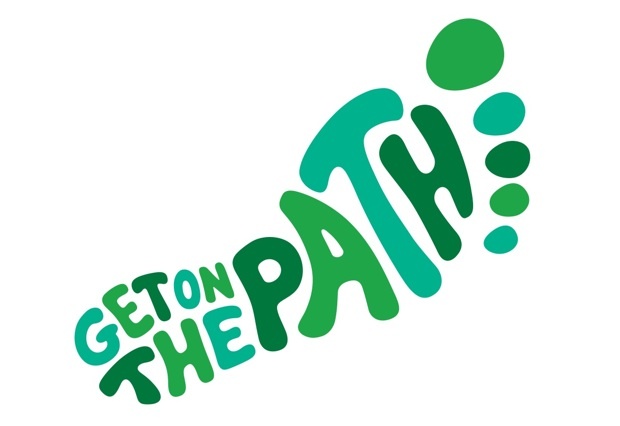 But as it grew, Nature’s Path had performed no major brandwork, using a logo and packaging that hadn’t been adjusted to the changing market that grew up around them (right). The company needed a new energy and new spirit to be injected into its marketing approach. Beginning with a single 2008 campaign in a Toronto test market that expanded to several more cities in 2009, egg was brought on to revitalize the way Nature’s Path talked to their consumers. Egg quickly realized that Nature’s Path had one major strength: It represented a small, family-owned brand in an organic and natural cereal aisle that has become increasingly corporate. Cascadian Farms is owned by General Mills, for example, and Kashi is owned by Kellogg’s. Egg knew that they could usurp the bigger players by positioning Nature’s Path as an authentic, indie choice for likeminded shoppers by promoting Nature’s Path own culture. The challenge was how to focus their efforts: Kellogg’s spent $30-40 million in Kashi marketing during 2009. The Nature’s Path budget during the same time was $5 million. organic cereals. In the Toronto test market in 2008, a 12-week campaign dispensed samples around the city at various areas like fitness centers, and buses and trains were wrapped to reinforce the idea of a journey. Sales were up 33% in the Toronto market. 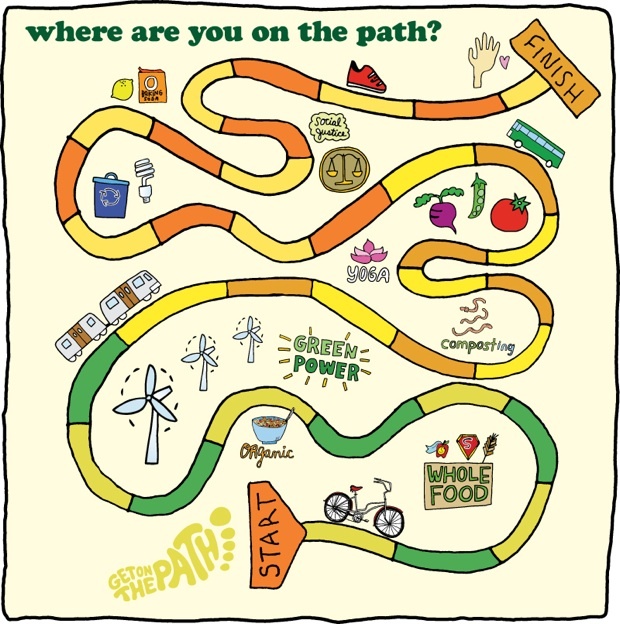 take a quiz to find out where they are on the path to personal sustainability, which also was created as a board game. People could then share their stories or advice there, and pass on the site through Facebook and Twitter. egg chose the Portland-based designer Kate Bingaman-Burt to create the illustrations due to her approachable style. Bingaman-Burt’s loose, whimsical drawings helped to show consumers that there were real people behind this slightly revolutionary message. It was the opposite of the rigid, polished communications of a large corporation. The campaign expanded into its North American launch, targeting other cities like Vancouver, Boston and Portland in 2009. When the launch campaign finished at the end of 2009, egg saw a tremendous increase in awareness for Nature’s Path but they had also seen changes in other purchasing behaviors. “We raised awareness of authenticity in ‘green branding,’ which is a significant issue in marketing, as well as greater awareness and understanding of organics in food,” says McDonald. When examining the campaign, which specifically pushed Pumpkin Flax Plus Granola, they also noticed a bump in sales in the test markets. Vancouver experienced an overall dollar sales increase during the campaign and increased sales up to eight weeks after–up to 22% compared to the year before. And Portland and Boston also saw sustained sales increases after the campaign.